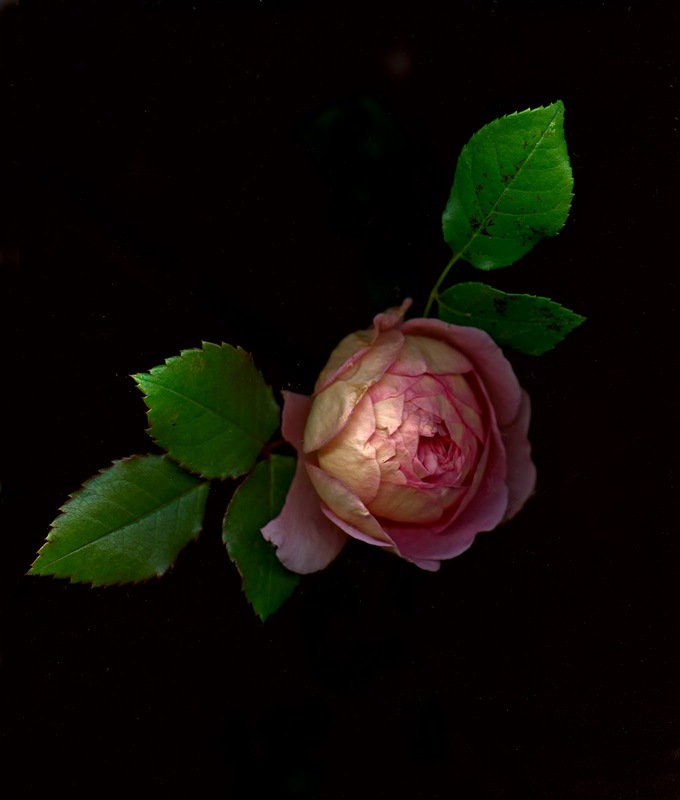 This is a scan of the last rose to bloom in our Kitsilano, BC garden. I scanned it today. It will not open further but the strong fruity smell of this English Rose, Rosa ‘Abraham Darby’ is in evidence as it says goodbye to me. It will bloom again next spring and I hope (you never know)that I will be around to greet it. "The Last Rose of Summer" is a poem by the Irish poet Thomas Moore. He wrote it in 1805, while staying at Jenkinstown Park in County Kilkenny, Ireland, where he was said to have been inspired by a specimen of Rosa 'Old Blush' The poem is set to a traditional tune called "Aislean an Oigfear", or "The Young Man's Dream", which was transcribed by Edward Bunting in 1792, based on a performance by harper Denis Hempson (Donnchadh Ó hÁmsaigh) at the Belfast Harp Festival. The poem and the tune together were published in December 1813 in volume 5 of Thomas Moore's A Selection of Irish Melodies. The original piano accompaniment was written by John Andrew Stevenson, several other arrangements followed in the 19th and 20th centuries. O devuelvan suspiro por suspiro. No dejaré que tú, solitaria! Ve tú a dormir con ellas. Yacen sin perfume y muertas.